You can hold a ruler against the fish, or the fish against a ruler, and measure it. What's so hard about that? Not much, except that you may be measuring it the wrong way. There are a couple of ways to measure fish, and you should know the method required by the laws of the state you're fishing in to make sure you're not keeping undersized fish. For instance, some fish species have forked tails. Your state fish department may have a fork length minimum, meaning that the fish must be measured from the tip of its jaw to the forknot either tipof its tail. 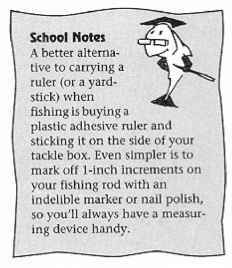 This could mean the difference of a couple of inches or more, so you might wind up keeping an illegal fish if you measure improperly. Some states require that the mouth of the fish be closed when measuring. Others make no such distinction, meaning that the fish can be measured from any point. The overall length of some fish is increased when the mouth is open, as the lower jaw may protrude incrementally farther, and also allows a fisherman to angle the ruler (which gives a whole new meaning to the term angler). Some fishermencertainly not I!have been known to squeeze the ends of a fish's tail together to gain a few sixteenths of an inch. States do not use the weight of a fish to determine its legality. However, knowing a fish's exact weight as well as its length is interesting and fun, if not disappointing at times. 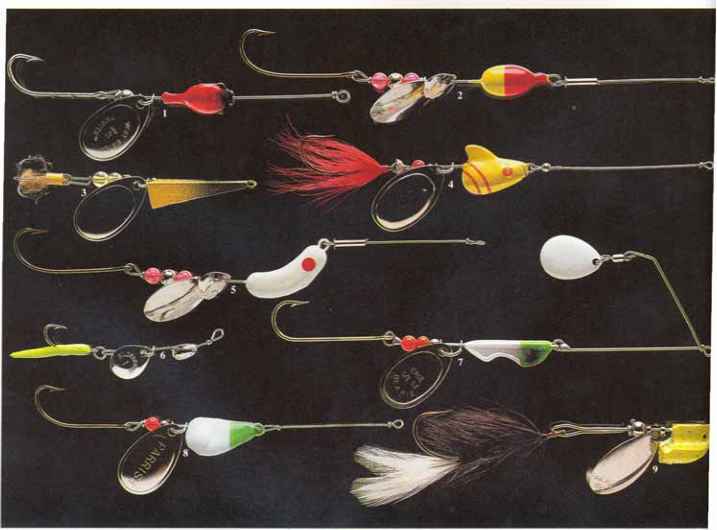 Numerous models of fishing scales are sold at tackle shops and through mail-order houses. Most are small and relatively accurate. You simply hang the fish from the scale and read the weight on the face of the scale. A few models have built-in retractable measuring tapes, so you can carry one device instead of two. It happens to every angler, and sooner or later, it will happen to you, too: You catch a fish that is below the minimum size, but by the time you unhook it, the fish is so badly injured that you know it will never survive. So do you do the proper thing from a legal standpoint and put it back in the water, watching it sink into the depths or float away in the current to become a meal a few days later for crows, crayfish, or crabs; or do you keep the fish and eat it for dinner and hope you don't get caught with it?